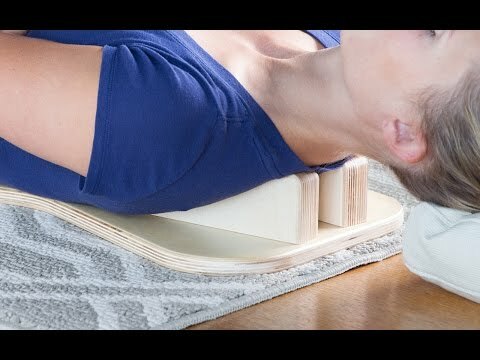 Designed by chiropractors, this wooden posture corrector can help realign your spine—and help you reap the benefits of improved posture like core strength, better breathing, and reduced stress. It stretches the muscles surrounding your spine, using just gravity and your own body weight. Choose risers in the height that matches your body type and fitness level. Dimensions: Board: 23.75" x 11.5" x 2"; Risers: 8" x 1.5" x 1.5" - 3.5"
I have tried multiple devices and this simple dude is a real difference maker. I Now Have Great Posture!